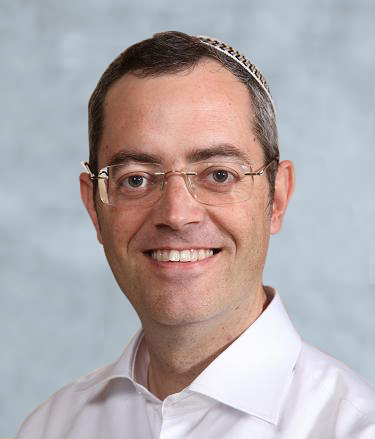 Prof. Dror Fixler, a returning scientist from South China Normal University in Guangzhou, is a member of the Nano Photonics Center at the Institute of Nanotechnology and Advanced Materials (BINA), and a Lecturer at the Faculty of Engineering. Fixler is a BIU-educated expert in electro-optics and photonics research including the emission, transmission, detection and sensing of light for biomedical properties. His primary foci are developing new technologies for super resolution microscopy, medical testing, and communications networks. In recent years fluorescence recording methods have evolved from being time-consuming and intrinsically one-dimensional, to fast, multidimensional techniques that record low-level light signals with extremely high precision, at picoseconds time resolution. Fixler uses these new techniques to detect various types of fluctuations in fluorescence intensity in very short time intervals. In addition, he is developing mathematical models for sensitive fluorescence intensity measurements that detect fluctuations due to random changes in molecule dipole orientation. Fixler’s laboratory is home to state-of-the-art equipment for Fluorescence Lifetime Imaging Microscopy (FLIM) measurements, a technique for producing an image based on the differences in the exponential fluorescence decay rate in a fluorescent sample. One system, based on time-correlated single photon counting (TCSPC), records times at which individual photons are detected by an avalanche photo diode (APD) after a single pulse. Another system determines fluorescence lifetimes in the frequency domain by a phase-modulated method. In order to scan areas smaller than half a wavelength in size, Fixler, in collaboration with Prof. Zeev Zalevsky, has improved conventional microscopy with a method known as “super-resolution.” First, he introduces a filter of randomly moving reflective nanoparticles, which he places between the light source and the target area. While using an optical microscope to record a series of images over time, Fixler shifts the filter slightly, creating a movie-like collection of dynamically changing pictures. He then correlates these pictures mathematically, revealing a composite “portrait” of the previously invisible target situated under the filter. Fixler’s lab team is also investigating light-tissue interactions in medical applications. These include laser therapy, as well as the effect of weak electromagnetic fields on isolated cardiac myocyte contractions. Yet, little is known about the physical mechanism of interactions between magnetic fields and physiology. The purpose of Fixler’s study is to determine the effect of ELF-WMF on different ionchannels, as well as to use the reflected light intensity measurements as a diagnostic tool for multi-layer tissue structure investigation. Fixler’s areas of interest include experimental studies offluorescence lifetime and anisotropy decay; Fluorescence lifetime imaging (FLIM); Biological imaging based on fluorescence parameters; Methods of microscopy and super resolution. In addition, he is interested in core networks and protocols for wireless communications. The group is particularly interested in expanding their research activities in the areas of photonics and biomedical optics.